Maintenance: When you hire Jenkins Electric, LLC for commercial or industrial lighting in Orange, VA, you’re getting the whole package, including maintenance services. In order to operate properly and last a long time, electrical systems and parts need regular cleaning and upkeep. Our family is proud to offer these routine maintenance essentials at affordable prices, so you’ll never have a reason to put off regular maintenance. 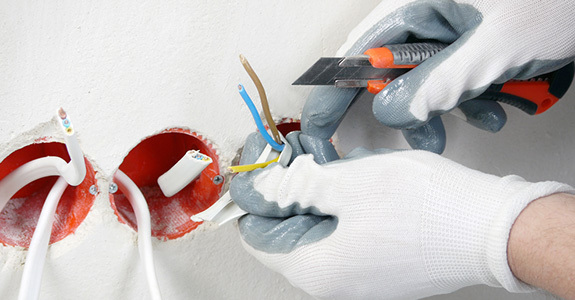 Installation: Whether you’re building a new industrial site or renovating an existing commercial space, our capable electricians can handle all your new and replacement electrical work. We use only the best products and brands out there, and our friendly team will treat your property with care and respect. Quick repairs: When you’re having problems with your commercial lighting in Orange, VA, you need an electrical service that can respond quickly and offer a fast turnaround time. Jenkins Electric, LLC is known for providing just that to our valued commercial and industrial customers. Losing electrical capabilities could potentially cost your company a staggering amount of money, which is why the team at Jenkins Electric, LLC is committed to getting you back in business as soon as possible. Interior and exterior: From offices to parking lots, Jenkins Electric, LLC can provide both interior and exterior lighting for our industrial and commercial customers. We’ll help make sure that wherever your employees, customers and visitors are on the premises, they’ll be in a well lit, comfortable and safe environment. To learn more about our commercial and industrial electric services, give Jenkins Electric, LLC a call anytime at 540-672-7919.